If you are interested in renting our facilities please take a look at our slideshows. 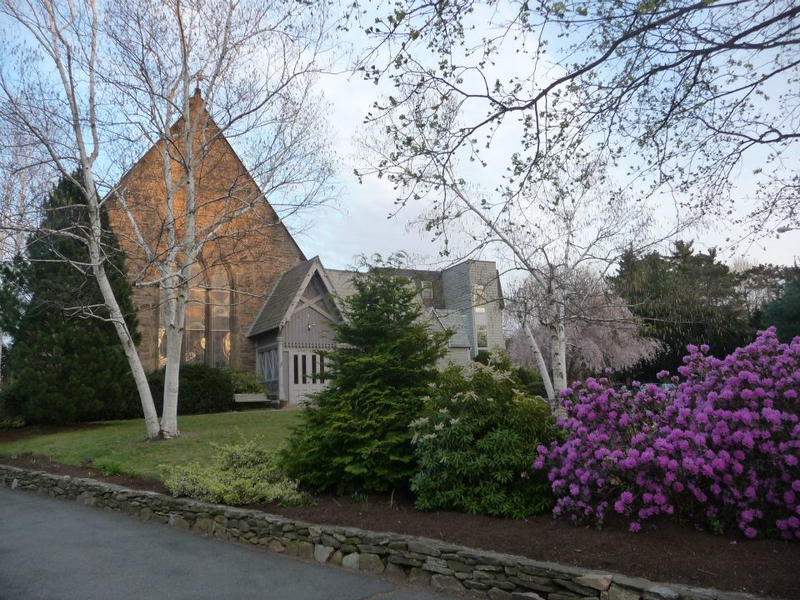 Our church and hall in Brookline are available for weddings, concerts, recitals, parties, and other special events. Available in Church for services or concerts. Baby grand piano and speaker’s podium available for Banquet Hall stage. The piano is not available for concerts in the Church, although there is an electric keyboard on site. Tuning available upon request. For detailed rental information and availability please contact Sandra Ramolins. There is no parking lot or off-street parking available, but there is ample free on-street parking in the surrounding residential neighborhood of Pill Hill on Irving, Allerton, Acron, and Upland Roads. Please be mindful of the signs indicating which side of the street you may park on. The church is located in close proximity to the MBTA Brookline Village (Green Line) station and Riverway (Orange Line) stop, and is along Bus Route 60.